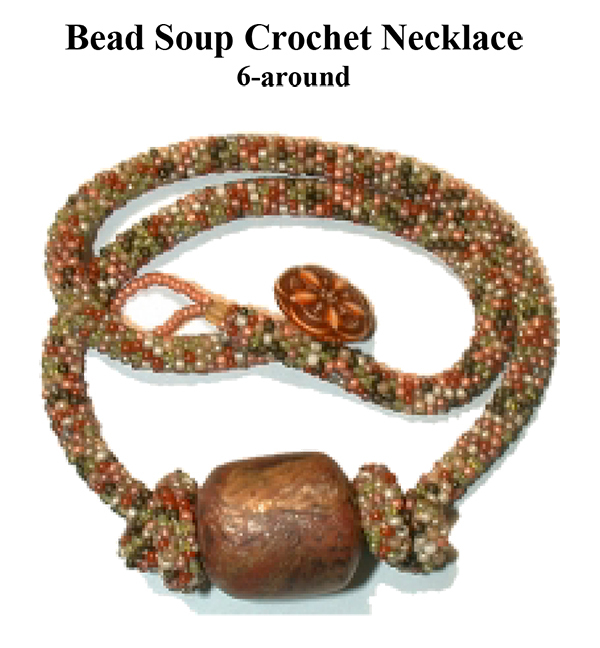 A great way to use up lots of leftover beads... make Bead Soup and crochet a short necklace to showcase a large center bead. Bead Soup Recipe included. As a design alternative, make a solid color rope to showcase a special collectible, large hole bead.